Supports local family farmers and agriculture. 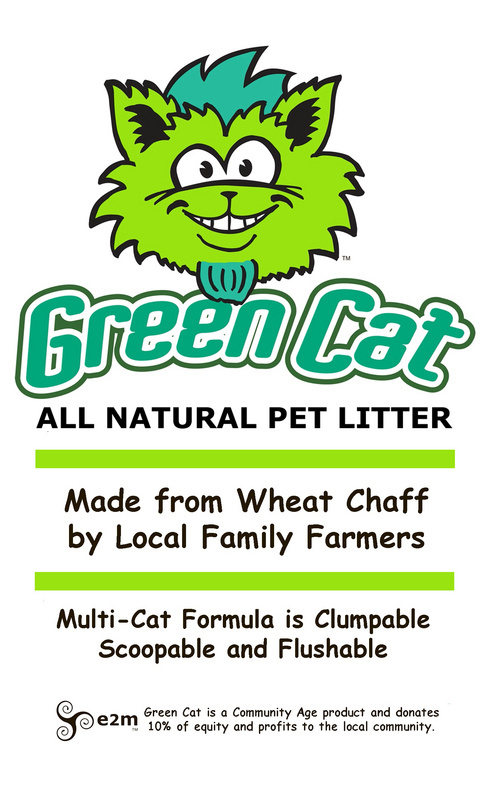 Green Cat Pet Litter is made in Massachusetts and Connecticut by local family farmer owned cooperatives working with Vee-Go Energy. Because Green Cat Pet Litter is made from the inedible by-products created when processing grains into food, it does not compete with food crops. In fact, as we grow more food grains, we produce more inedible grain by-products and can manufacture more Green Cat Pet Litter. Green Cat Pet Litter makes economic and environmental sense. Green Cat Pet Litter is a by-product of food production so it requires minimal processing and energy consumption. Because Green Cat Pet Litter is made from rapidly growing grains, it contains no wood or paper, does not contribute to deforestation, and does not require mining the earth. All of the raw materials for Green Cat Pet Litter are purchased locally so less fossil fuels are used to transport them to you. This means less pollution from transportation and more stable prices as fossil fuel prices increase dramatically in the near future. Vee-Go is committed to creating a sustainable company, product, and economy by joining with e2m.org (www.e2m.org) to help build a better future through the creation of a sustainable economic community. Vee-Go has donated ten percent (10%) of its corporate stock and profits to the local community to be administered by the e2m Regional Economic Council of Western Massachusetts. This non-profit group of democratically-organized local citizens uses these monies to benefit the community and start even more e2m-certified businesses that share equity and profits with their employees and the community. Every bag of Green Cat Pet Litter you purchase will create more community wealth to address the social, economic, and environmental issues of our time. Vee-Go is much more than a company interested in making a profit. Our mission is to use our company to create a better world -socially, environmentally, and economically. For more information about Vee-Go Energy and the e2m Economic Movement, visit www.vee-go.com. We hope you'll join us for a brighter, cleaner, more hopeful future for all! Thank you.